Become a Premium Member Today! We have had the privilege of meeting some amazing people over the past few years: chefs, restauranteurs, farmers and business owners. People that have impacted our lives in ways I could not have imagined. One of these people is Lidia Bastianich. I was invited to interview Lidia when we were in New York City for the James Beard Foundation Awards in May of this year. Lidia is known for so many successful ventures including two cooking series on Public Television, Lidia’s Italy in America and Emmy nominated Lidia’s Italy. She owns and operates six restaurants in three different cities and has written seven cookbooks, a children’s book and has a new cookbook due out in the fall of 2012. 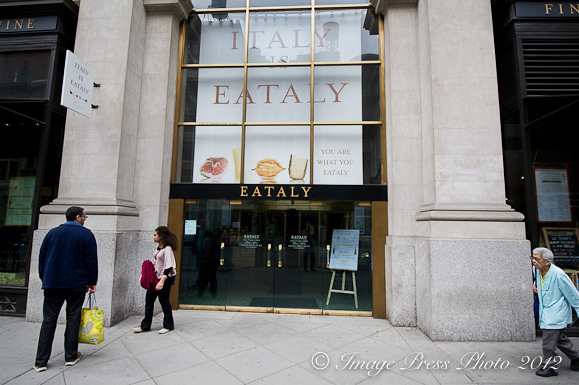 Partnering with her son, Joe Bastianich, Mario Batali, and Oscar Farinetti, Lidia opened Eataly, a 42,500 square foot Italian artisan food and wine market (with several restaurants) in New York City in August 2010. She is the founder and president of an entertainment company, Tavola Productions. In addition, she has several other business projects with her daughter Tanya Bastianich Manuali. These include a tabletop and cookware line and line of specialty food products. Tanya, a PhD in Italian Renaissance art history, is also a partner with Lidia and Joe in four of the restaurants. Tanya plays an important role in Lidia’s television series and has co-authored two of Lidia’s books. Lidia owns two vineyards in Italy with her son Joe which produce award-winning wines, Bastianich Vineyard in Friuli and La Mozza Vineyard in Maremma. She has had numerous James Beard Foundation Award nominations and is the recipient of five of the prestigious awards including one for Best Chef U.S. in 2000, Outstanding Chef for Felidia (New York City) in 2002, and for Best Cooking Series, Lidia’s Italy in 2009. This year, Lidia Celebrates America: Holiday Tables and Traditions, was a finalist for Outstanding Documentary in the James Beard Foundation Broadcast Media Awards. Lidia is also actively involved in the community and participates in special events for several foundations and on behalf of Public Television. When we mentioned our interview of Lidia to a well-known chef from Texas, his comment was, “Food Hero.” I would have to agree. Lidia has brought an unprecedented awareness to Italian and Italian-American cuisine, regional artisans, farmers, and small business owners, in both the United States and Italy. We were so inspired by our time spent with Lidia that this interview will be in two parts since there is so much to share. I like to know as much as I can about someone before I meet them. 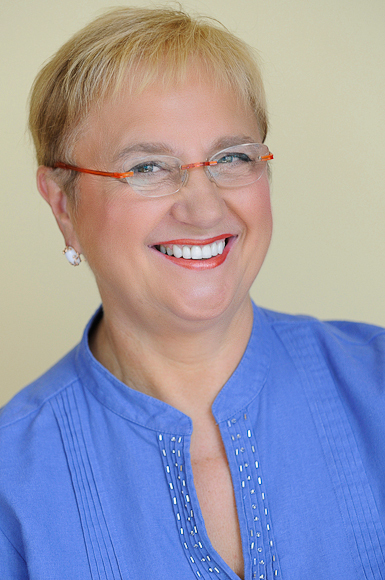 In the case of Lidia Bastianich, I knew of her past but couldn’t help but be mesmerized by her telling her story. Some of you may know of Lidia’s childhood, but I’ve decided to share it here because it sets the stage for what is truly a remarkable life’s journey. Lidia Matticchio Bastianich was born in 1947 in the town of Pula. 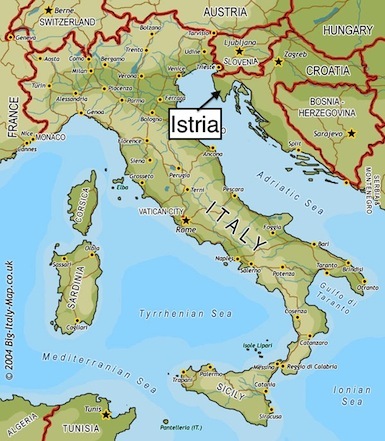 Originally a part of Italy, this town on the Istrian peninsula (located on the Adriatic Sea), was turned over to communist Yugoslavia after World War II (this area is now part of Croatia). During that time, Lidia’a mother was pregnant and it was difficult for them to flee the country as many other families did by crossing over the border into Italy. Therefore, they lived under communist rule without the things that were most important to their Italian heritage. They were not allowed to attend church or permitted to speak Italian. However, they were permitted to travel to visit their grandparents when Lidia was a young girl. In 1956, when her parents decided to leave their home because they no longer wanted to raise their two children under communist rule, Lidia’s father, Vittorio, sent his wife and children to Trieste, Italy to visit family. He was required to stay back to ensure the rest of the family would return. The children did not know they would not be returning home and their goodbyes to their grandparents would be their last. They left with just enough of their personal belongings to fit in a suitcase. Vittorio, in the dark of night, soon escaped over the border to join the rest of the family in Trieste. The Bastianich family sought political asylum and were placed in a political refugee camp in Trieste for two years waiting to emigrate. When President Eisenhower opened immigration to the United States, Catholic Relief Charities were able to intervene and the family was moved to North Bergen, New Jersey. One of the people that had a major influence on Lidia and her career was Julia Child. 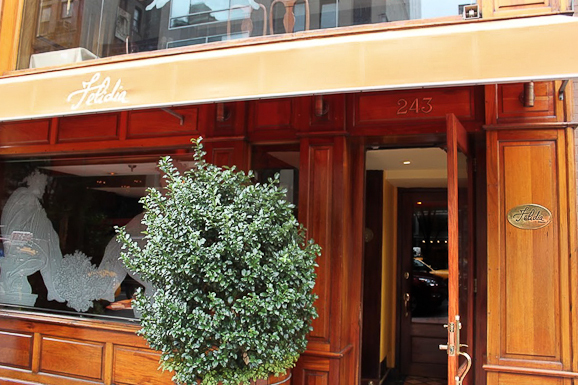 Julia would come to dine at Felidia (Lidia’s flagship restaurant in Manhattan where we met her). She would most often be accompanied by James Beard. The two eventually became friends. Julia recognized Lidia’s talent and asked her to tape two shows with her, one of which was nominated for an Emmy. Lidia told us, “Julia said I was good and should have a television show.” At that time Lidia was interested in transitioning from a chef and an artisan into communicating her message through television. She was not sure of the path to get there, but soon found encouragement working with Julia. Gwen Pratesi is a James Beard Foundation Award Finalist in Journalism and award-winning travel writer. She is the author and owner of PratesiLiving.com with her husband, coauthor of Southern Heat, and co-owner of On the Road Culinary Adventures, a culinary travel business. She is a contributor to the Travel section of U.S. News & World Report and freelances for other publications including Forbes Travel Guide, CruiseCritic.com, Atlanta Homes & Lifestyles Magazine, and World Travel Magazine. Her work has also been featured on MSN, Yahoo!, Business Insider, and SheKnows.com. Gwen chronicles her love of international travel and experience as a professional home cook on PratesiLiving.com, where she shares the stories of some of the world's most sought-after destinations, highly regarded chefs, restaurateurs, farmers, wine and spirits producers, and culinary artisans. She and her husband just traded in big city life in Atlanta for shorts and flip-flops at Fernandina Beach, Florida. They look forward to enjoying the coastal lifestyle with their new Tibetan Terrier, Rhythm. How do Mr. B and you stay so thin dining at such top restaurants? Lidia’s life story is amazing and a testament to how far passion and hard work can get you in life. Yes, Lidia’s story is an amazing one and incredibly inspiring. Thankfully, we have been staying relatively “thin” throughout the travels and incredible dining experiences. However, I cut way back when we are home and try to exercise to make up for the times we are away. What a fantastic article! Ms. Bastianich ate at my friend Nick Pellegrino’s restaurant, “Mangia Nashville” when she did a fundraiser for PBS! He flew his own little Italian Mama down from New York, just to see Ms. Bastianich. Mama Pellegrino was so proud of his son for making that meal for Ms. Bastianich, that she quite literally wept! Thank you for your comment. That is such a great story. I hope Lidia will come back to Nashville one day and that you have the opportunity to meet her. She was such a gracious lady and very inspirational. Great article. I love Lidia. Going to try this recipe! I always think of you when I post a vegetarian recipe. I know you will enjoy this recipe and if you need to freeze the leftovers, they are great reheated. Very cool, Gwen! What an amazing woman! Thank you for sharing this! That recipe looks awesome too. I pretty much love anything with zucchini in it. Yes, she is amazing and is an inspiration to all of us who share a passion for great food and preserving our heritage. I am sure you will enjoy this recipe! I’ve always loved her shows and recipes but never knew much about her. I sometimes forget to be grateful that I grew up never know the kinds of struggles so many people face as a way of life. Makes her success even sweeter though! I agree. Speaking with someone who has achieved so much and come from so little is the real inspiration. It shows that you really can do anything with your life if you have the desire and the drive. Combined with her passion for real food and family, interviewing Lidia was one of the highlights of our year. I am so glad that you have made some of Lidia’s recipes and have dined at Felidia. You can understand how delightful our lunch was and how great her recipes are. I hope that we can meet at Felidia on our next trip to NYC! It has taken me a while to finally sit down and read – savor – this interview and Lidia’s story but what a story! This is absolutely fascinating and what a fabulous chance to be able to interview her like this. And you have offered us a flavorful and complete story. Beautiful and inspiring! And the food! Wow!!!! Fabulous write up, Gwen…and now off to enjoy Part II! Thank you and yes, it was a great opportunity to sit down with Lidia and learn so much about her. It was one of our favorite interviews and such a pleasure to be able to spend this time with her. Thank you and yes, Lidia’s story is very inspirational. 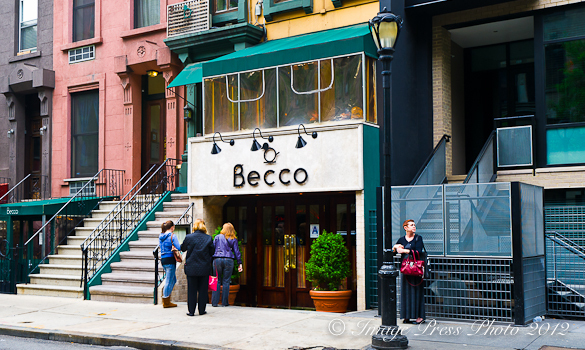 We have been to both Felidia and Becco at different times while in New York and have enjoyed them both. I can highly recommend either. 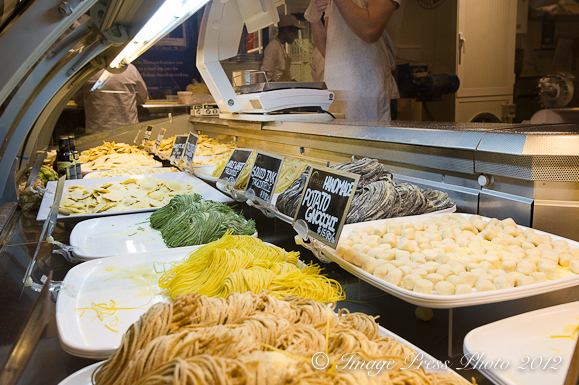 Our lunch at Felidia was definitely one of our culinary highlights during our trip to New York as was Eataly. We should go there together sometime! Can you imagine the trouble we could get into dining and shopping there?! What a fabulous inteview!!! You are so thorough, I especially enjoyed learning about her childhood. I need to watch more of her shows and read more of her books. I always remember her slicing and onion, leaving such a tiny bit of the skin in tact on the bottom. And when asked how she did not go through the bottom skin, she simply said “you will know”. That always stuck with me. Great piece, now I must read part two! Thank you for your comments. I have really enjoyed delving in to the cookbooks I have by Lidia. The recipes are great and I love the stories and tips that she gives. Several are companion books to her series, so they give you information that you would also learn by watching her television show. I always feel like I have spent my time wisely when I come away from reading or watching something on television that teaches me something new or that I remember and associate with the person. That is great to hear that you have that memory from Lidia’s show. I’ve always enjoyed watching Lidia so it’s most interesting to learn more about her background and business ventures. Now I’m dying to try that crostata…just when I thought I didn’t want any more zucchini…nice work Gwen. Can u use substitute cooked rice in this recipe ? You need to use raw rice since the grains absorb the liquid from the zucchini. If you use cooked rice, the grains have already absorbed moisture, so the recipe won’t work. ©2019 Pratesi Living. Design by Purr. The material on this site may not be reproduced, distributed, transmitted, cached or otherwise used, except with the prior written permission of Riverbed Productions.